At CD2 Learning we value recognition and awards, in fact, they play a major role in our CD2 Learning architecture. We are proud to share the accolades received by our own team, partners, and clients. For the 3rd year, CD2 was honored in the LCMS category. The final results are in! Heather Linn, WellCare Health Plans, Inc. takes Silver! Favorite New Products, Mobile Solutions! An impressive group of winners were announced for the 2016 Leadership Excellence Awards recognizing exceptional Leadership Development Programs. We’re proud to share first place honors with our client, Ted’s Montana Grill, taking first place in Best Store/Restaurant category and beating out an inspiring field of competition. Congratulations TMG! Proud to make Craig Weiss’ Top 50 LMS list as the system that is thinking ahead. 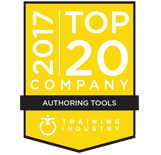 CD2 Learning earned honors as the number three learning management system in the world for small to medium-sized businesses. 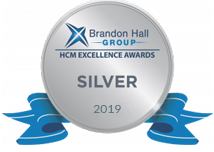 CD2 is particularly excited to be honored for our technology and its relevancy in the talent development and HCM space for clients. 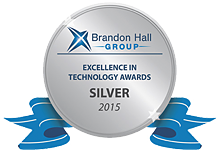 The coveted Brandon Hall Award recognizes innovation and client results. 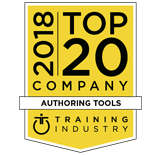 CD2 Learning made the World’s Best Talent LMS list issued by John Leh, the CEO and Lead Analyst of Talented Learning, and an LMS selection consultant with almost 20 years of experience inside the industry. Elearning! magazine announced the Best of Elearning! Awards 2015 Finalists. CD2 Learning was named as finalist in the LCMS category. 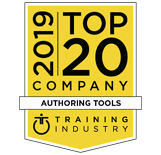 CD2 was selected for providing built-in content authoring, the patent pending Innovator gaming platform - a gamification and simulation tool, social collaboration, talent development, and learning management on a single scalable ecosystem. Congratulations to Heather Dunn, Ted's Montana Grill, for winning the Bronze in Business Impact at CLO Media's recent Learning in Practice Awards. What makes her achievement significant is the continued success of her program while facing unique industry challenges. A Repeat Performance! CD2 Learning Top Winner in the 2015 People's Choice Stevie® Awards for Favorite New Products. CD2 Learning unveils its Learning Process Map combining World Class Leadership content, application tools and gamification. CD2 Learning is the top winner in the 2014 People's Choice Stevie® Awards for Favorite New Products, a feature of The American Business AwardsSM, the U.S.A.'s top business awards program. 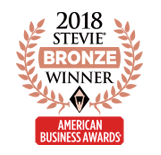 CD2 Leadership is a 2013 Bronze Stevie Award® winner for Corporate Learning Software. We are proud to share these award-winning lessons with you.